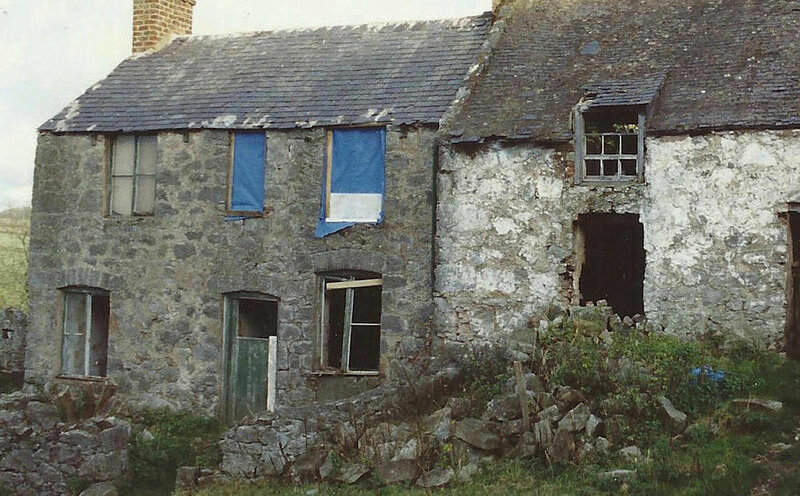 Built into the sloping Clwdian hills on the edge of the welsh mining village of Dyserth, this farmhouse had been a ruin for over 50 years acting purely as a shelter for farm animals. After two years of seeking planning permission our client began the careful restoration of the house, using locally sourced materials as well as innovative ideas from the Centre for Alternative Technology in Snowdonia. Walls were repaired and rebuilt with limestone from the village quarry & a new green oak structural frame was made within, insulated innovatively with recycled newspaper. The roof was remade with welsh slates. The dwelling offers 5 luxurious timber framed bedrooms, a large central limestone floored kitchen and a lounge with upper gallery offering panoramic views over the valley below and the Irish sea beyond.